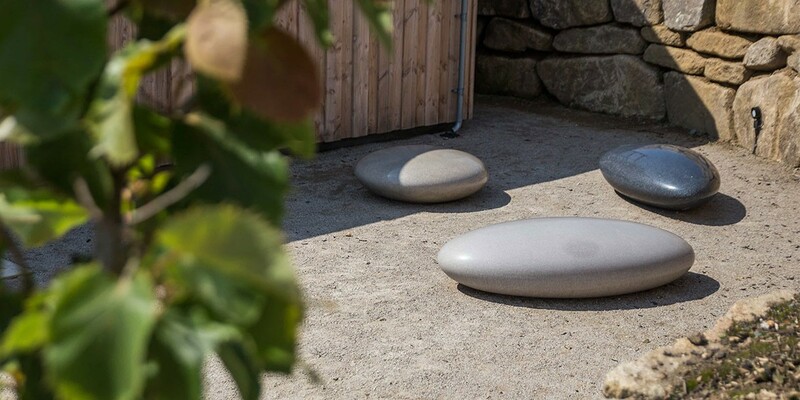 Positioned outside the Gallery at Tremenhere Sculpture Gardens, a complete set of Pendeen Pebble Seats invites visitors to reach out and touch, and to sit and talk. 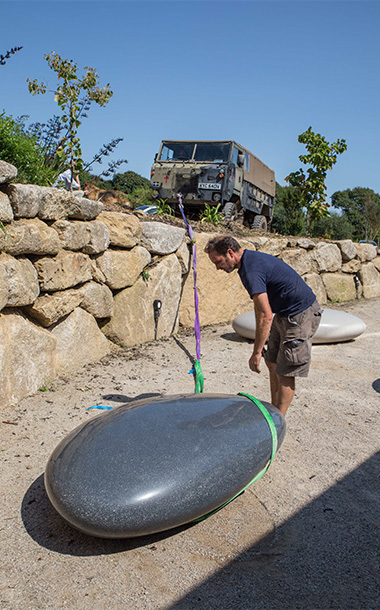 Tremenhere Sculpture Gardens is a top destination for residents and visitors to West Cornwall alike. 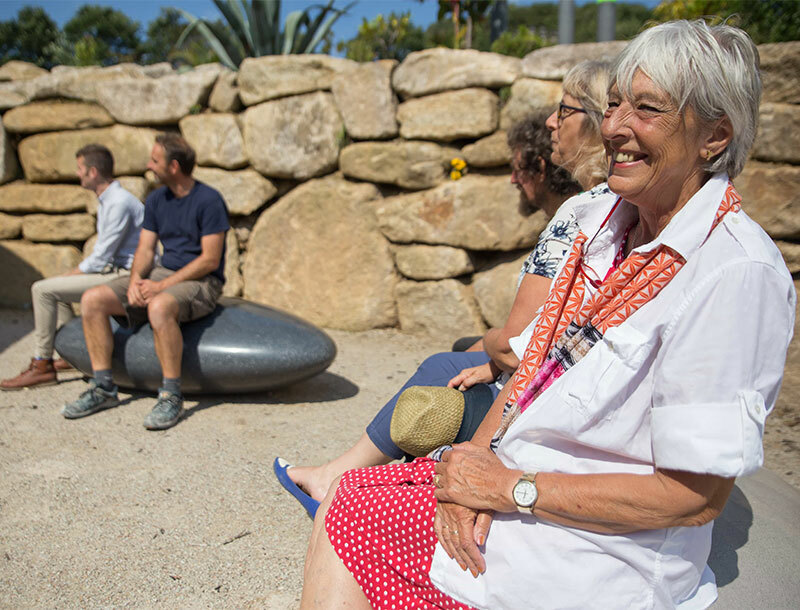 The gardens are full of wonderful work, and a walk through the woods and up to the top of the hill, where the view of Mount’s Bay sparkles in the sun is an unmissable experience. The Gallery sits just to the left of the car park, and before you get to the main entrance. It has many excellent exhibitions, and we are delighted that we have a complete set of Pendeen Pebbble Seats on loan to the gallery. There is a black asymmetric; a grey oval and a white round, thus showing the shape and colour options available. 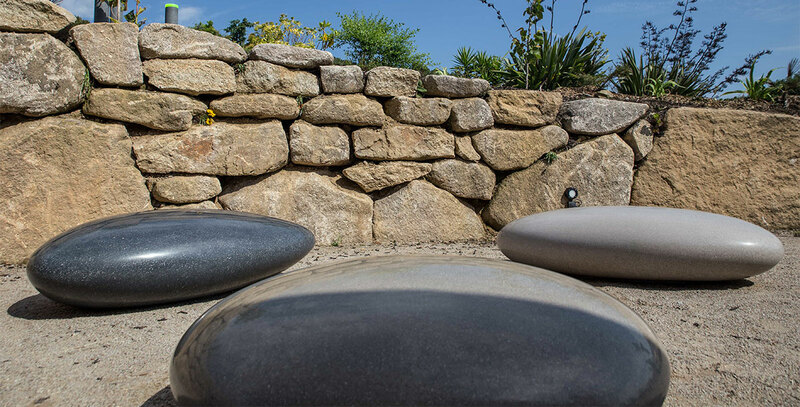 Material: Polished Cornish granite aggregate Concrete.